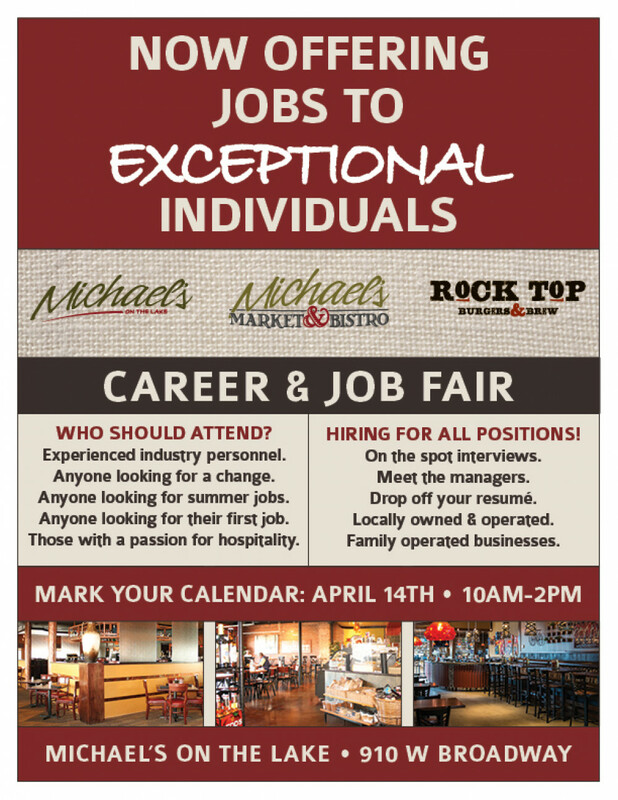 Now Offering Jobs to Exceptional Individuals. Who should attend? Experienced industry personnel. Anyone looking for a change. Anyone looking for summer jobs. Anyone looking for their first job. Those with a passion for hospitality. Hiring for all positions! On the spot interviews. Meet the managers. Drop off your resume. Locally owned & operated. Family operated businesses.